Our revamped mid-sized indoor/outdoor model sports a 5.25-inch polypropylene driver, resulting in a smaller overall package. The design is elegant, without being attention grabbing, while the sound quality is truly excellent. 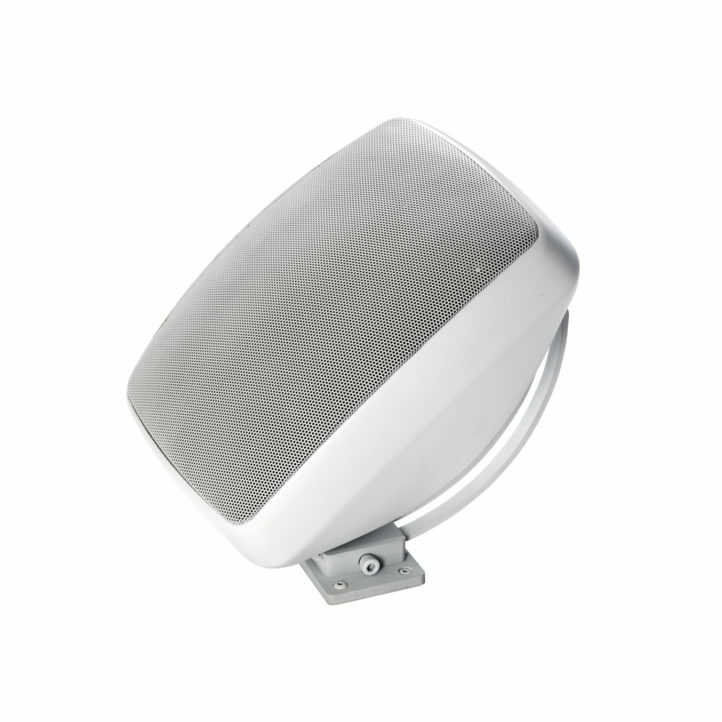 The series has been designed to suit both commercial and domestic installations. Its easy-to- adjust mounting arrangement makes it particularly popular in retail outlets. In households, these are ideal for placement on the patio, in the garden or by the pool. With its paintable cabinet and aluminum grille, the I/O 3A2 is designed to blend seamlessly into its surroundings-so all you notice is the remarkably detailed, great sound. The middle unit of our 2-way bassreflex indoor/outdoor speakers is fitted with a powerful 5.25-inch woofer. It delivers strong, accurate bass reproduction. A 1-inch dome tweeter reproduces high frequencies with clarity and accuracy. A flexible mounting bracket allows you to adjust the speaker to your preference; the allen-key bolt locking system ensures that the I/O 3A2 stays firmly in place. The I/O 3A2 delivers big outdoor sound in virtually any conditions from a smaller cabinet.